Sprinkle meat with 1 tbsp smoked garlic seasoning let sit 1 hour. Marinade your pieces of tenderloin in the Smoked Garlic Grilling Sauce w Whisky for a minimum of 1 hour or over night in fridge covered. 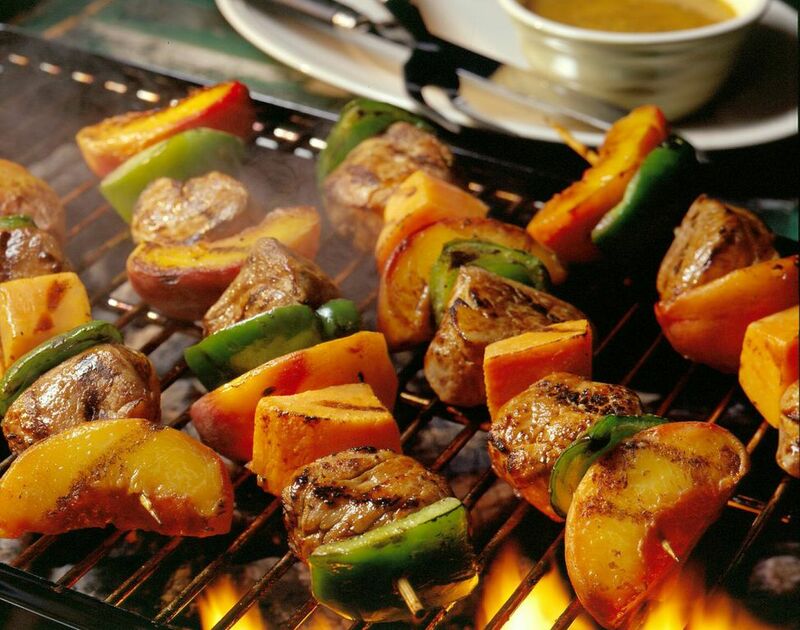 Prepare your wooden skewers by soaking in water for 30 min before cooking. Toss your vegetables and peaches, in large bowl with Smoked seasoning coating well. Thread your pork, vegetables and peaches on skewers in asthetic fashion. 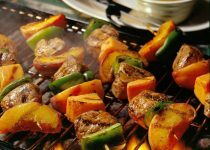 Prepare your Grill to a medium heat and cook the kebabs for 15 to 20 minutes depending on the thickness of the cuts, turning as needed. Finish last 5 min of cook time with a generous brushing of smoked garlic grilling sauce w whisky.